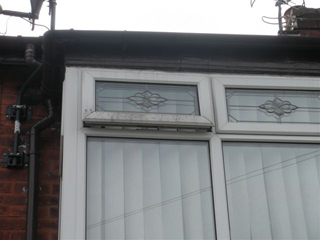 We provide an initial clean using ladders, to remove any fly deposits, grease and grime, then after the initial clean we use our unique window cleaning service, it enables the customer to have quality cleaning using the latest cleaning techniques and treated water for great results. 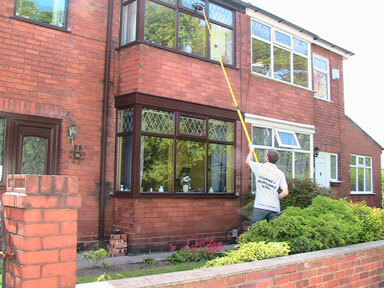 We carry all water in the van, so, the every customer has their windows cleaned with clean water all the time. 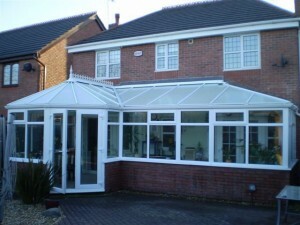 Most of our customers are based in Ashton-in-Makerfield, Nr Wigan, Lancashire. 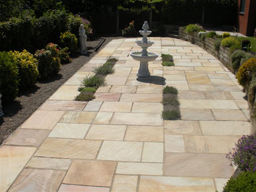 We are able to travel further a field for Commercial customers because we are situated close to the East Lancashire Road & M6 Motorway. 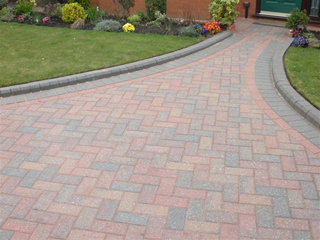 We provide a caravan cleaning service for the customer who likes to take a clean touring caravan on holiday and especially if they have not got the time to clean it there selves. 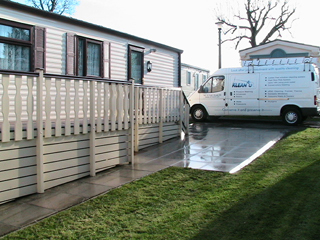 Your caravan could possibly be full of black water marks and green staining especially after the Autumn and Winter months in storage. 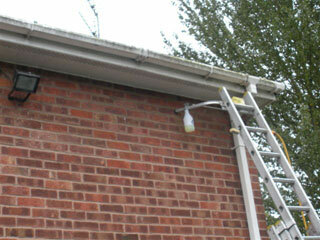 We can also clean there touring vehicle aswell leaving you more time to prepare and pack for that long awaited holiday. 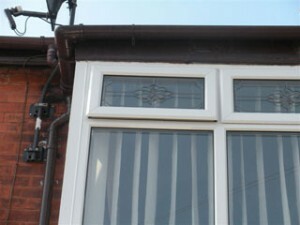 We have found that PVCu has often been advertised as a maintenance free product, but, if the frames haven’t been cleaned for some time, then you have probably realised that is not the case, so, you end up with dirty water marks and the frames have lost that new look. 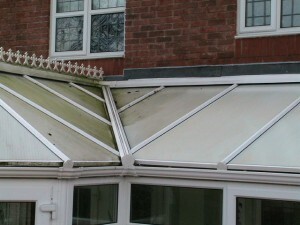 In modern day living you find there is not the time to clean the exterior of your home, this is why ‘Klean 4u’ provide a PVCu frame cleaning service to restore the look of your frames and glass, and just like the service we provide for Conservatory cleaning we finish off the cleaning using treated water to give that extra sparkle. 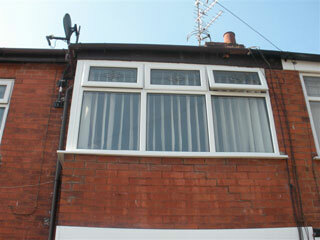 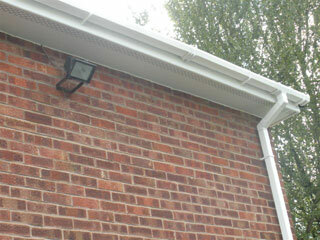 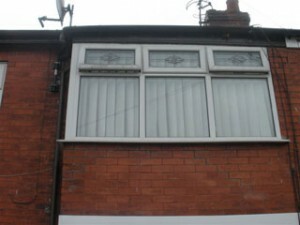 Other cleaning options available are Facias and Soffits. 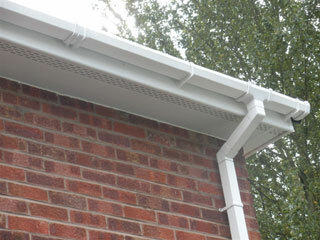 Gutters are often left until you notice grass growing or water overflowing down the front of the house, and left for any length of time can cause damp problems in the brickwork, because of moss, twigs and other debris which accumulate over the year, especially during the Autumn months. 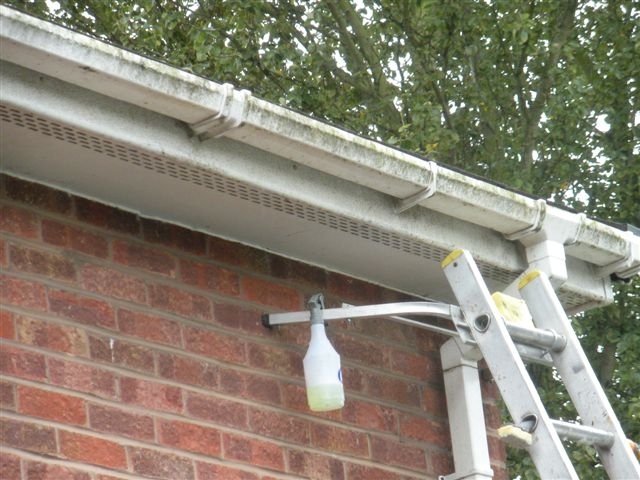 We clear all the debris from the gutters to give a free flowing system and clean the front of your gutters to remove any green staining, and after the clean we take away all the debris. 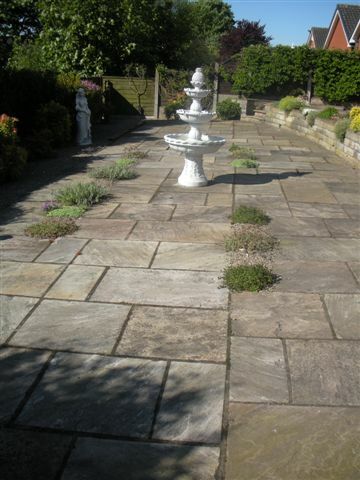 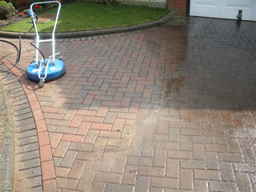 We revive Patio’s (we cover, Ashton in Makerfield, (near Wigan), Lancashire) to restore the look without the need for chemicals 99% of the time using the latest rotary variable pressure cleaning system. 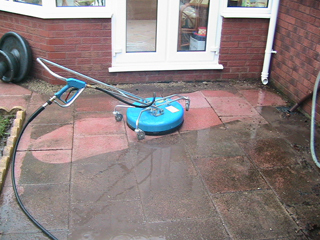 It removes very little sand from the joints and we take away all the silt which has accumulated during the clean. We are self-sufficient regarding water supply, (there may be exceptions on the larger jobs) so the customer need not be at home. We also offer the option of re-sanding and sealing. 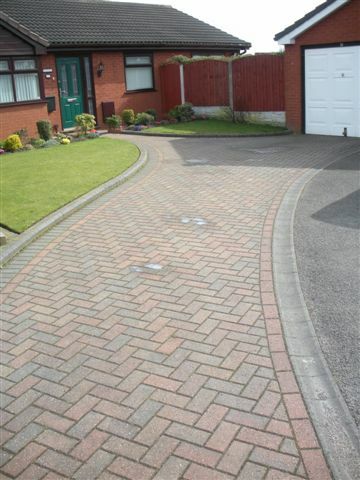 We revive Driveway’s (we cover, Ashton in Makerfield, (near Wigan), Lancashire) to restore the look without the need for chemicals 99% of the time using the latest rotary variable pressure cleaning system. 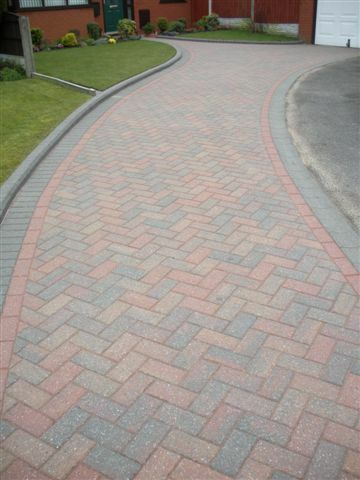 It removes very little sand from the joints and we take away all the silt which has accumulated during the clean. 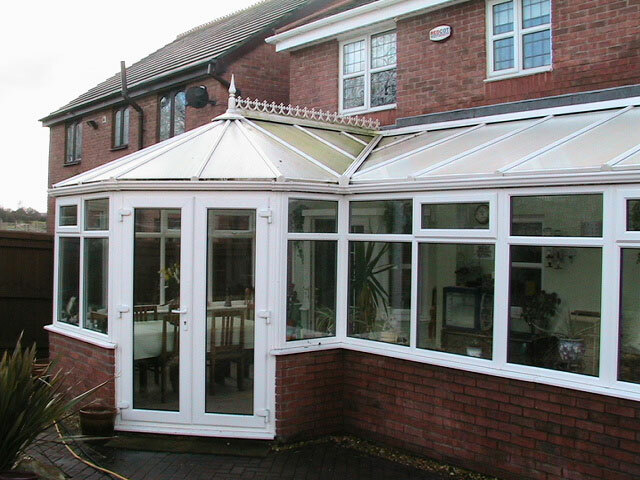 The Conservatory was probably a great expense to you, but, also a great investment to your property, so, don’t neglect it, have it restored back to its original look, whether it be White or Brown. After your Conservatory has been cleaned, we finish all the glass with treated water to give that extra sparkle, and without the need for any glass cleaning agents. We can maintain the look of your newly cleaned Conservatory by giving it a clean twice a year with treated water. We have all the professional access equipment to do a deep clean, we remove any green staining, restore the PVCu and clean out all the gutters and leave you more time to enjoy yourself and entertain your friends during the summer months, so, look after your investment with quality cleaning and let us ‘Klean 4u’.